Whether you’re planning a small or a large-scale landscaping project, when it comes to Hunter irrigation, Right Water Pumps and Irrigation can do whatever you need. Working for domestic and commercial customers in the Hunter Valley, we offer a full set of professional services at a competitive price and can handle jobs of all sizes. Our experienced team can supply and install a quality new irrigation system or replace or repair your existing system as required. We can do everything from designing the product and installing the water tank, to carrying out upgrades or servicing on your existing equipment. At Right Water Pumps and Irrigation, we specialise in providing superior water-efficient solutions for gardens and lawns and can transform your landscape with our professional products. We can also supply and install pond and water feature pumps, variable speed pumps, as well as standard irrigation systems, which will keep your landscape healthy and green. Most of our modern and simple irrigation control systems are available at very affordable prices, so just talk to us about what you want and we’ll give you a price guide. We offer free quotes for all our products and services and are always happy to assist you with the decision-making process should you require our help. 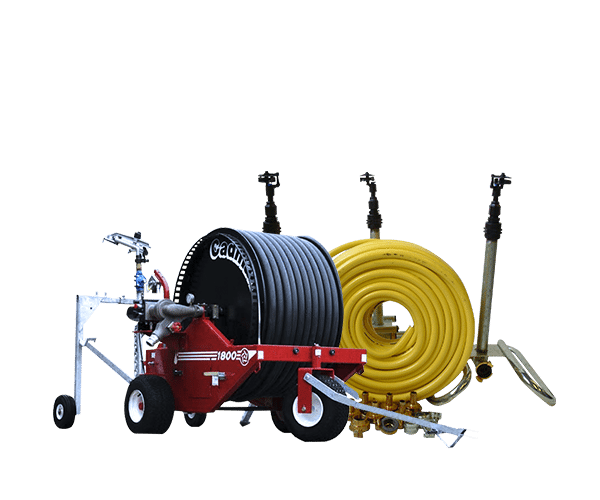 Right Water Pumps and Irrigation works with commercial customers in the Hunter Valley, delivering a fantastic selection of irrigation products and services for a competitive price. Tackling projects of every size and style, we cater to each customer’s needs to ensure you always get exactly what you need.We’re happy to help with all of your irrigation installation needs. With free quotes, on-site visits and fast, friendly service guaranteed, Right Water Pumps and Irrigation is the perfect choice for all types of irrigation work in the Hunter Valley area. As a locally owned and operated family business, Right Water Pumps and Irrigation is committed to delivering the best possible water irrigation and pump services in the region. We supply only top-quality products and are always on hand in an emergency, should you need us. When it comes to commercial water irrigation, we can install everything from a large sprawling system for a sports field to a more modest irrigation system for an office garden. We can help with everything you need from sprinkler system design, sprinkler irrigation, and sprinkler supply. We give the same great attention to every job and can work around your schedule for your ultimate convenience. We are your friendly sprinkler company that can help with various types of irrigation systems to suit your needs. Whether you’re looking for a long-term or temporary irrigation solution for your commercial premises, just get in touch with Right Water Pumps and Irrigation, the water irrigation specialists, for everything you need. We guarantee affordable prices and excellent service all the way.